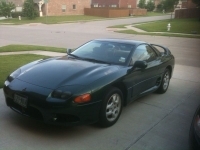 Welcome to 3sgto.org, The enthusists site for the the Dodge Stealth, the Mitsubishi 300GT and the Mitsubishi GTO. Some of the major 3000GT / Stealth / GTO sites despite their size do not do a good job servicing the community. These sites fail because they are not focused on serving the community they are focused on making money for their owners. While they may provide a stable platform if you look closely you'll see that the decisions they make are designed to make them money and keep you on the forum. The 3000GT / Stealth / GTO community needs a site that's focus is the support of the community and not to make money. I believe that a site with the members and the community as the focus can do the job better in the long run. With your support 3sgto.org can be that site. If you are coming from another forum many things will seem similar many things will be different. We should have all of the features you'd expect and maybe a few new things to use. If you feel something is missing or have a suggestion that you think will help, please don't hesitate to send me a PM or post a comment in the suggestion forum. Thanks for giving us a chance. The 3000GT / Stealth / GTO Classifieds The perfect place to find that part you need or sell the part you no longer need. The 3000GT / Stealth / GTO Mods and Tech support Some of the finest minds in the community use our forum and post here. All times are GMT -4. The time now is 04:21 AM. All content copyright the poster unless otherwise stated in a post\document.